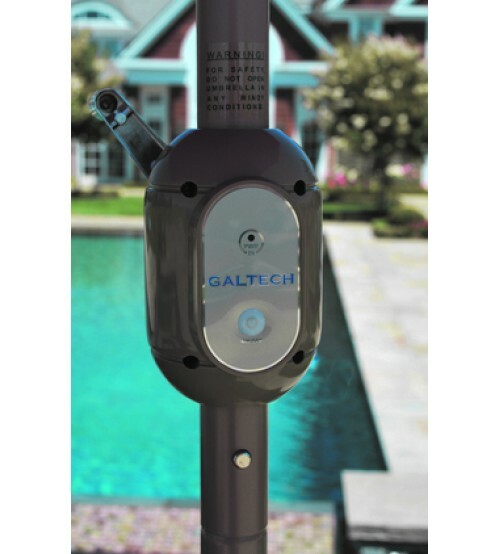 The Galtech LED lighted market umbrella is a must have for an evening garden party. Every detail has been carefully considered, down to soft ambient glow lights for bug resistance. This market umbrella is available in 2 finishes and a variety of thatch, Sunbrella, and Suncrylic fabrics, it is the perfect addition for a residential backyard. Equipped with the most advanced features found on tilt umbrellas, it boasts an auto lock mechanisms, which allows smooth tilting operation and the tilt to be used up to 30˚ angle. 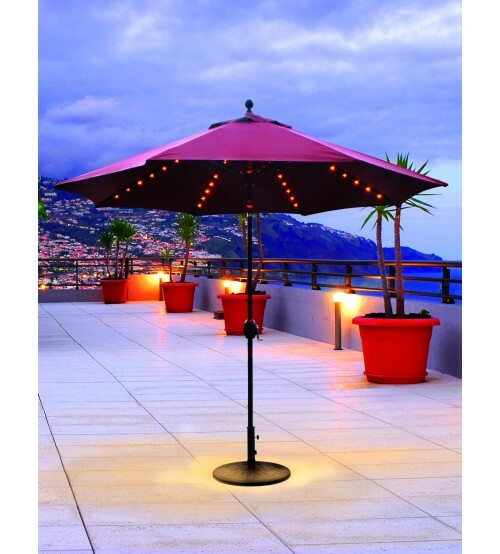 The 936 Auto Tilt Patio Umbrella, LED Lighted comes standard with the most advanced features available on market umbrellas.